NJNA Myrtle Beach Retreat 2 | NJNA is Blogging! 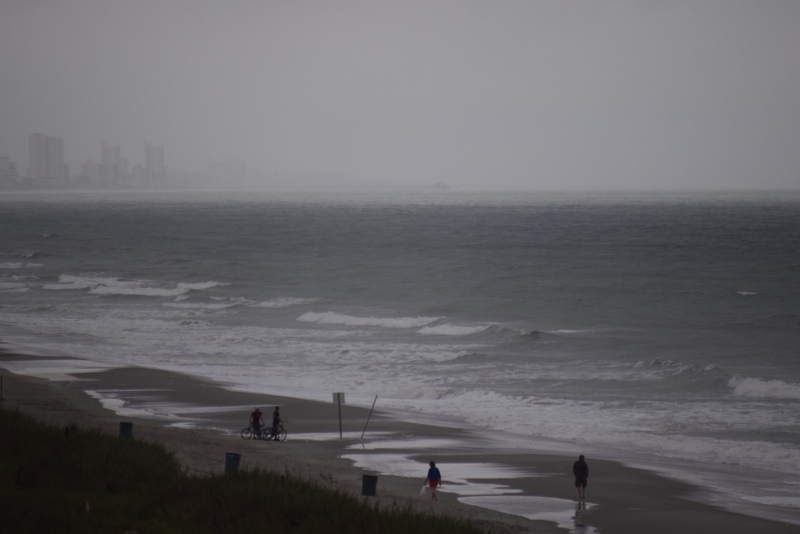 Rosie left Wednesday morning and Diane arrived in the evening after a minor detour inadvertently to the same address in Myrtle Beach, which unfortunately was 1/2 hour south of where she was supposed to be in North Myrtle Beach! When will I learn to check the map rather than just trusting the GPS?! Carol, Sue, and I had dinner Wednesday at a lovely Bistro that Rosie and Carol had eaten at earlier in the week. The food was fresh, plentiful enough to bring home for Thursday’s lunch, and quite delicious. The apple vinaigrette salad dressing was unique and light but flavorful. We passed on dessert, although the tiramisu was really tempting. Thursday was gloomy although the sun kept trying to peek through. Sue and I tried walking on the beach but were turned back by the rain. We enjoyed being inside stitching, listening to the rain, while staying dry. 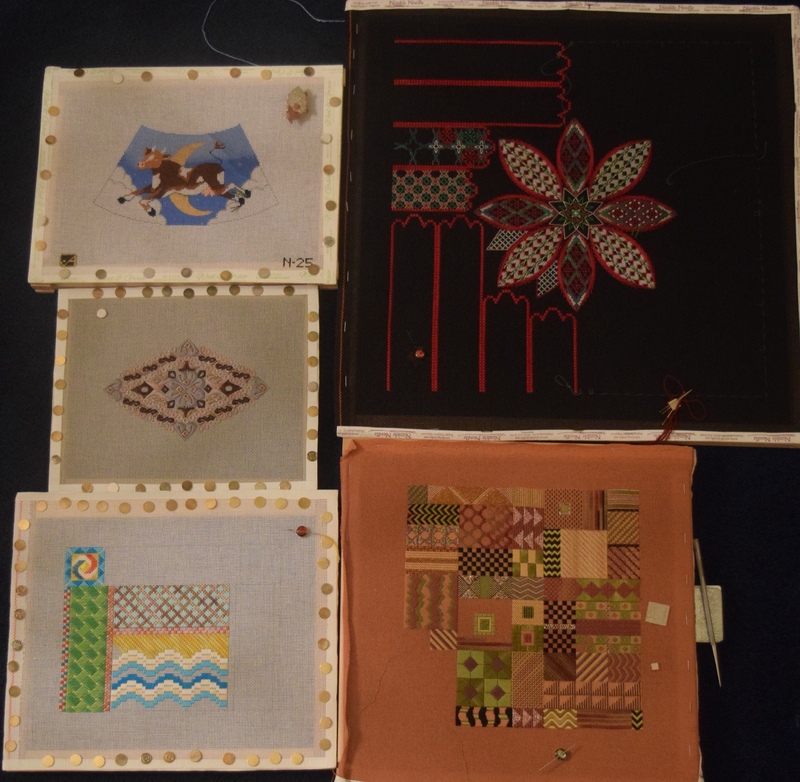 Diane made progress on another block of Serengeti and the first ribbon on Razzle Dazzle, Sue made significant progress on Summer Humbug and Kurdy Biggs’ Diamond design, and Carol has begun work on the sky on her Cow Jumped Over the Moon nightlight. We did venture out to do some food shopping particularly for breakfasts during seminar. 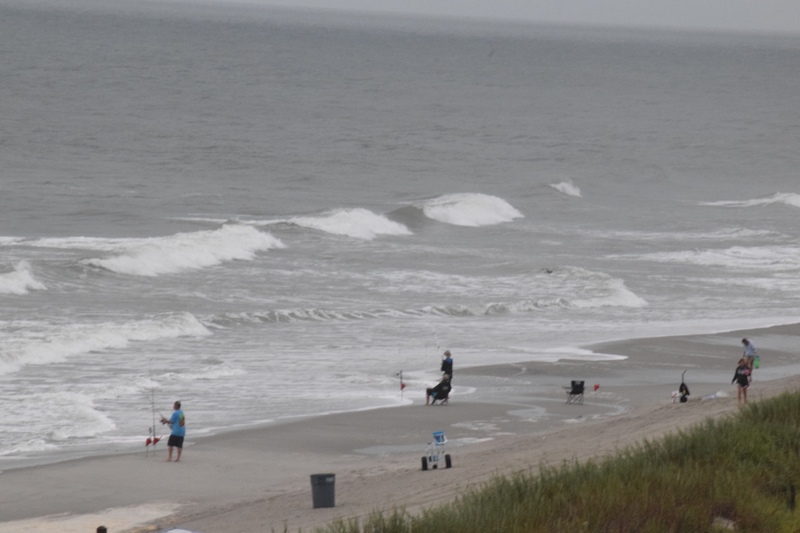 Meanwhile, there were a few brave fisherman and others on the beach right outside our condo. Dinner at Flying Fish was excellent. The fish was fresh, delicious, and plentiful enough to bring some home for lunch Friday. Tomorrow we head over to the Sheraton for the start of Seminar and the arrival of many of our members. I’m watching the storm on radar and hope that it doesn’t interfere with flights tomorrow! After all, I have to be there Saturday AM for my angel duties! Missed stitching with you guys!